Maine Coast Waldorf alum, Chloe Rowse (8th grade class of 2008), will speak about her solo thru-hike of the Appalachian Trail. Chloe started on February 22, 2018 in Georgia and hiked 2,191 miles home, by herself. 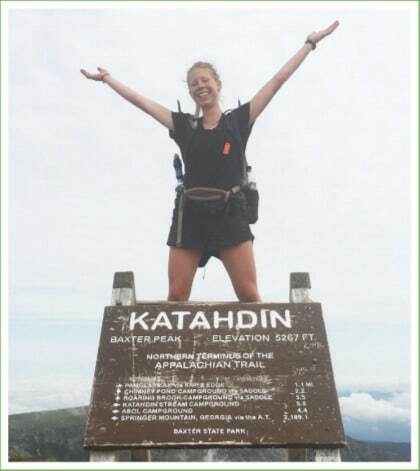 By the time she reached the summit of Mount Katahdin, 129 days later, she had hiked through 14 states averaging over 18 miles/day. She carried all her clothes, rain gear, sleeping bag, tent, food and water on her back. Chloe was prepared for the tough days. What she didn’t expect was the incredible kindness from so many strangers that would make the difference between reaching the top of Mt. Katahdin or surrendering to the trials and tribulation of the trail. These acts of kindness are known as Appalachian Trail Magic.